“Introduction to the Deponia world” digital book. © 2013 Daedalic Entertainment GmbH. 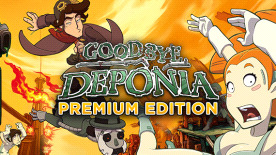 Goodbye Deponia, the Goodbye Deponia logo and the Daedalic logo are trademarks of Daedalic Entertainment GmbH. All rights reserved.